Life forever changed in our small community in the early hours of Monday, June 11, 2018 when tragedy struck the Kramer family. No words can accurately describe the thoughts and emotions we all experienced when three loving, caring individuals, a father and his two young daughters, died in the horrific house fire. However, in this time of despair and in true small town fashion, our community has rallied around one another, supporting the Kramer and Mitchell families and each other. In the months following this tragic event, physical injuries have had time to heal and now it is time for us to come together and celebrate these three beautiful lives taken too soon. John Joseph was born May 12, 1982 to parents John Joseph Sr. and Lynda Taylor in Chesley. John entered foster care at a young age and was welcomed with open arms by his uncle and aunt, Duane and Theressa Stade. Years of joy, laughter, hugs and tears as John aka “John John” a shy white haired little boy, with a infectious giggle, did not take long to settle in. From Sundays spent horseback riding with family to “Sunday Fun Day” spent playing volleyball, baseball, badminton and even the odd water gun and water balloon fights. It was during this time that he first became a resident of 5th St. S.W. and a playmate of one Lindsy Mitchell. In fact, the families lived two doors apart and the duo spent countless hours entertaining each other through their youth. In his teenage years, John spent time in Kincardine and Flesherton as he completed high school. At the age of 21, John headed south of the border and became a "carnie" travelling the countryside. Here he became a father, welcoming Summer Kramer in 2005 before returning to the Chesley area a year later. Upon his return he tried his hand in a variety of fields, such as concrete, electrical and construction before settling in at Multiple Enterprises Inc. in 2009. It was during this time that he reconnected with Lindsy and their relationship blossomed and they began their family together. John had a passion for learning and would research anything in order to perfect a task. He had a particular fondness for computers and was never afraid to try anything once, always working hard to provide for Lindsy and their children. He also had a special place in his heart for anything Ford, particularly trucks. Those who knew him knew about his special girlfriend...... his truck of course. He always joked, "She will never leave me." His strong, hardworking and determined personality never overshadowed his loving, passionate and helpful qualities. Oh yah, the “s” word also was used in describing him, that being stubborn. In the winter months when work slowed down, John loved to spend time in the kitchen making hearty meals for family. He always involved the girls and loved making things from scratch. It could have been his spaghetti sauce (with a little of everything from the fridge - mustard, ketchup, sugar, BBQ sauce etc. ), homemade meatballs, famous stew or chili, it did not matter whatever he started he tried to perfect. It didn’t stop there, he would then get out the bread maker and make his own bread or buns to go along with the meal. Everything he did in his life revolved around his family and providing for them. Shailyn Mary Darlin was born December 22, 2008 and was immediately the apple of her parent’s eye. She was a mommy's girl, always wanting to keep Lindsy company. From a young age she was very artistic and apparently quite the entrepreneur. Her grandparents recall a story of a recent Christmas whereby Shailyn was working particularly hard on a variety of arts and crafts leading up to the holiday. Christmas morning came and family began arriving for the holiday celebrations. It was here that she insisted all visitors not only look at, but buy, a piece of her art upon entry into the home. I am sure there was more than one life lesson taught and learned, that day. She also loved her animals. The Kramers have two cats, Lucky and Chester. I would be lying if I didn't tell you that Chester was her favourite, her love. Her passion for animals was ever present and on more than one occasion she told her mother that she was going to be a "dog walker" when she grew up. Apparently, she also liked to use the phrase "Did you know.” Always eager to learn, she enjoying researching topics (similar to her father) and then educating those around her with those new found facts. In her early years she would often join her mother, nanny and nanny 2 (great-grandmother) while they cleaned. Her task? Well, opening all the doctor's doors after cleaning of course. She loved to play with her friends, neighbours and classmates and had a particular fondness for swimming. She was very mature for her age and often jokingly was referred to as an "old soul." She was a sensitive, loving girl who was never afraid to show her passion, yet also always emphasized with those around her. Britnee Nicole was born March 28, 2013, joining older sister Shailyn. She remained quiet, speechless in fact, for the first two years of her life. However, when she came into her own, she made up for it. Lindsy describes Britnee as her strong and wild child, her "tomboy" in fact. She always enjoyed playing outside, but had a particularly fondness for the mud, biking and her sandbox. She, along with Shailyn enjoyed the water and swimming. However, many of their similarities ended there. Britnee was her father's daughter. She “played hard but loved harder.” She loved to explore and would jump at any opportunity presented to her. She was always at daddy’s side helping when he had a “dirty” task ahead of him. Like her dad, she was also strong willed and did not like to be told how to do something. Britnee was a caring child, with a beautiful heart always looking out for others. She often told her mother, “Mommy, I am spreading kindness” and that she did. On one such occasion at school, Britnee noticed that a classmate left their chair outside during an outing. Britnee immediately took notice, retrieved the chair, returning it to the classroom and her classmate. This small act of kindness did not go unnoticed as her teacher and classmates recognized her with an award for her initiative and efforts. She was always looking for ways to spread kindness and that she did! 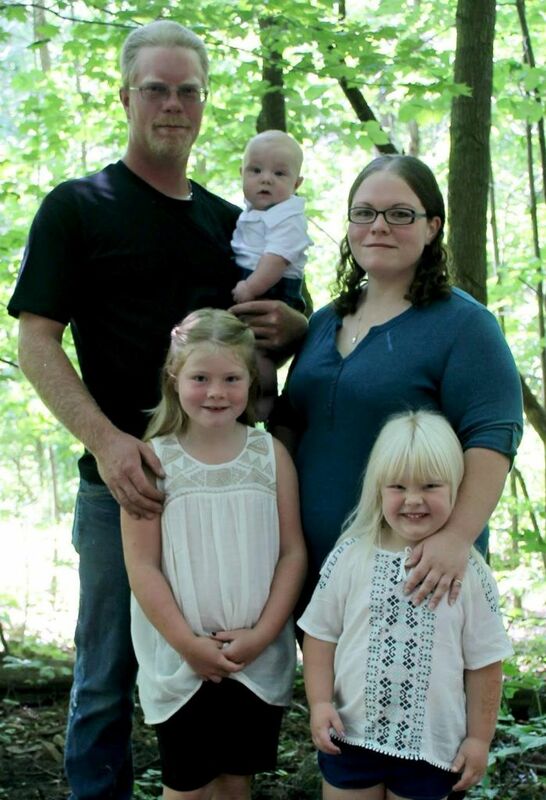 On Monday, June 11, 2018 John Kramer Jr., 36, along with his daughters Shailyn, 9, and Britnee, 5, lost their lives in a tragic fire at their family home. Profoundly and deeply missed by Lindsy Mitchell, wife, best friend and soulmate of John and proud mommy of her daughters Shailyn and Britnee. Loving father and big sisters to Dylan. Sadly missed son-in-law and granddaughters of Brian and Sherry (Schmidt) Mitchell. Forever remembered by sister-in-law and aunt, Krista Mitchell (Stephen Beulieu) and their children Lucas and Cameron. Shailyn and Britnee will always remain in the hearts and minds of their great-nannies Marjorie Schmidt and Joanne Mitchell. John is survived by his loving daughter Summer Kramer, mother Lynda Taylor (Mike Neron), step-mother Fay Ottowell and his sisters Jeannie Robinson and Jo-Ann Kramer (Henry Choi), Aunt Sherry Stade (Steve), Uncles Duane (Theressa) Stade, Ritchard Taylor, Michael (Laurie) Taylor and grandfather Gerald Taylor. He will be lovingly remembered by his “adopted brother and sisters” Josh Stade (Bailey), Vanessa (Dan) Gowan, Jodie Stade (Jordan) and Brenda (Paul) Dent. John was predeceased by his sister Maryann, father John Kramer Sr. and grandparents Ronald and Betty Stade, and Jack and Olive Johnson. John, Shailyn and Britnee will remain forever in the hearts of the entire Stade/Taylor families, the staff of MEI, their friends and neighbours as well as the entire community which has been touched by this tragedy. A memorial service to honour the lives of John, Shailyn and Britnee will be held in the Chesley District Community School Gymnasium on Tuesday, August 28, 2018 beginning at 7 p.m. Please dress casually as we come together to honour their lives. If desired, memorial donations may be made to Lindsy Mitchell through the funeral home (cheques payable to Lindsy Mitchell) as she begins to rebuild her and Dylan’s life. Lindsay, you have are deepest sympathy. May the days ahead be filled with lots of love and healing. Our family is keeping you in our prayers. Let us know if we can help in anyway. Our thoughts and prayers are with you all. May your loving and happy memories carry and guide you through this difficult time. Sending our love and sincere sympathies to the entire family , as well as friends. May your wonderful memories of happier times help you through. You are surrounded by a huge community of love and support. I didn't know the family,saw the obituary in the paper.such a sad ,sad story. My condolences to the family. Our Deepest Condolences to All. Our Hearts are with you ???? John was renovating/upgrading the apt. building our daughter lives in and he always took time to speak with her..she is missing his friendliness, as he was a spot of sunshine in that building. God bless you all, as you journey to recovery and many, many changes. May He ever bless you. Jim and I send our deepest condolences to all of the family. Contact us if you need anything. We would be happy to help anyway we can. John was a great man and we will never forget him. Hope you get well soon Lindsay. Deepest sympathy to you and Dylan at this tragic time.